The full line of Larvasonic© product covers your urban larvicide requirements. With Acoustic Larvicides© instantaneous results and single visit concept you can economically conduct surveillance and control simultaneously. Larvasonic systems are flexible and portable for efficiently treating urban habitats including: ditches, ponds, drums, above and below ground cisterns, culverts, wastewater treatment plants, abandoned swimming pools, idle fountains and the like. 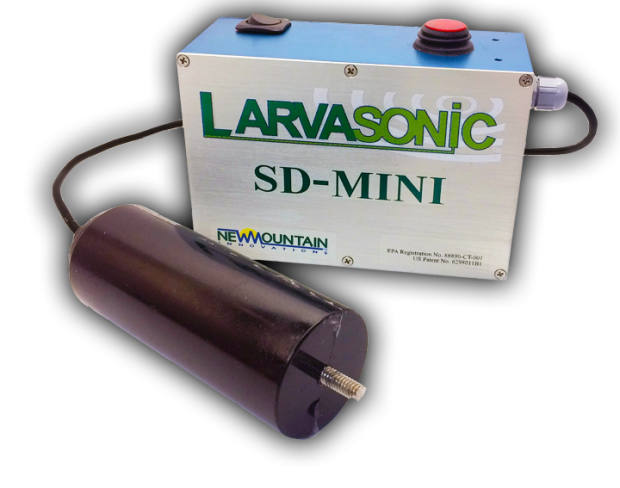 The SD Mini is small for deployment into storm drains, small ponds, pools, ditches, water drums and the like. The SD Mini omnidirectional transducer can easily slip through standard two inch inch grate or other small openings. 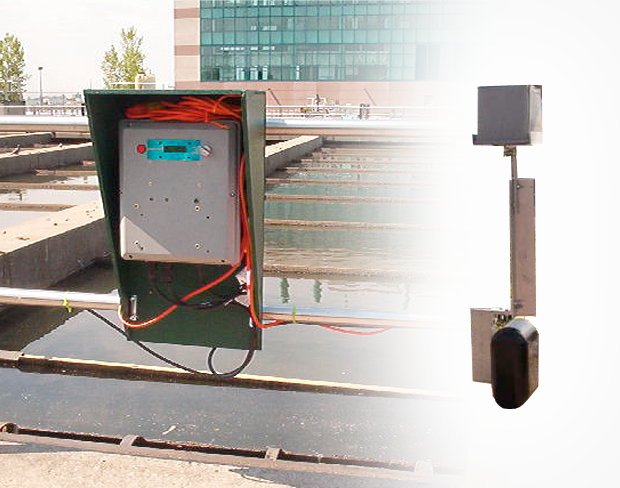 With 12 feet of cable and and additional mounting rod, the transducer can be custom mounted to fit any needs. The transducer distributes acoustic energy uniformly in the horizontal plane and has a 60 degree volume of vertical coverage. All mosquito larvae within this torrid are killed instantly. The Larvasonic Field Arm is a mobile unit ideal for larger urban environments, as well as wetland areas and vernal pools. Operated in a similar manner to a grass trimmer an operator can quickly treat a large area at a walking pace. With it’s long range and 25 degree beam swath, the highly mobile Field Arm is an integral part of a complete mosquito control program. 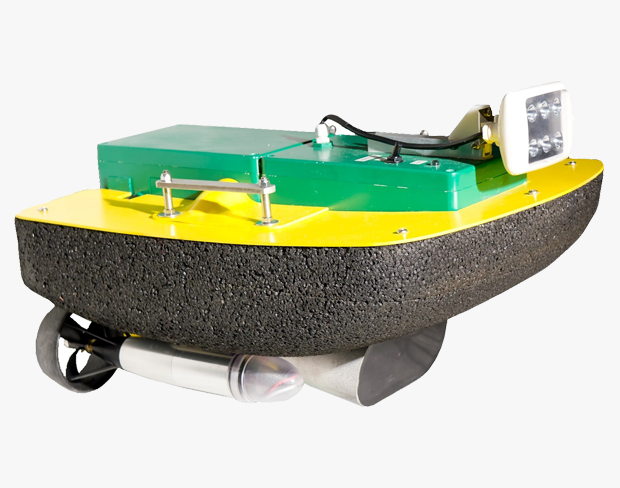 LARVASONIC© REMOTELY OPERATED VEHICLE is in a platform that integrates the acoustic components of the Larvasonic™ Field Arm into a highly manuverable remotely operated vehicle. This verisitile platform allowes for significant area coverage of larger bodies of water. LARVASONIC © INDUSTRIAL INSTALLATION Is a permanently installed apparatus with long term reliability and no operator attention. It covers a large area and is very economical as compared to manual application of pesticides. It operates continuously as a very low duty cycle and with the use of an articulator covers a 360 degree beam pattern. Do the the nature of the low duty cycle that improves reliability and the continual sweeping of the 360 degree arch, immediate kill is not always evident. Prior to installation a larval survey should be conducted to determine the optimal placment of transmit heads (transducers).